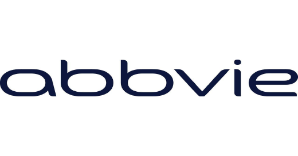 Oncology is a key therapeutic area for AbbVie, with a portfolio consisting of three marketed products — Imbruvica, Venclexta, and Empliciti — and a pipeline containing multiple promising new molecules that are being studied in nearly 200 clinical trials in 19 different types of cancer. More than 1,000 AbbVie scientists, clinicians, and product developers with strong entrepreneurial roots work across sites in California and Illinois. They combine their expertise in cancer biology and drug discovery and development with their knowledge of multiple therapeutic modalities (eg. small molecules, bispecific antibodies, antibody-drug conjugates (ADCs), and covalent-inhibitor technologies) to discover and develop novel cancer treatments. The Drug Metabolism, Pharmacokinetics & Translational Modeling (DMPK-TM) Department is searching for a senior DMPK-TM group leader. This senior group leader will lead a global team (CA and IL) of DMPK project representatives responsible for the DMPK and PKPD strategy for Discovery programs in Oncology; applying robust strategic guidance coupled with innovative translational modeling approaches to enable drug progression from discovery through clinical development. This position can be based at either the California or Illinois AbbVie sites. Collaborate and build strong internal network with DMPK-Bioanalysis (DMPK-BA), other key AbbVie functions (Discovery, Clinical Pharmacology, Preclinical Safety, etc.) to enable effective and successful target validation, biomarker selection, candidate selection, guidance in (pre)clinical study design, human dose prediction, calculation of therapeutic index, etc. Manage and coach DMPK project representatives directly and oversee group operations and performance across sites and build a high performing team, responsible for DMPK-BA project support, human efficacious dose and DDI projections, DMPK-BA sections of regulatory documents and related reports. Build strong external network in the field of DMPK/PKPD (e.g. academia, consortia) and strive for external collaboration with consortia, academic partners, CROs. Ability to clearly communicate and influence strategies related to DMPK-BA and translational modeling is required. Keep up to date with emerging literature and science in modeling approaches. Bachelors, Masters, or Doctorate (Ph.D.) in PKPD modeling, Pharmaceutical sciences, or related field, with at least 18+ (BS), 16+(MS), or 10+(Phd) years of pharmaceutical industry experience. Experience in developing and driving strategies for oncology drug development encompassing all modalities (small molecules, large molecules, and antibody drug conjugates). Highly motivated, self-driven and results-oriented person with excellent communication and presentation skills, capable to work both as team player and project driver. High degree of flexibility in adapting to different projects and people. Excellent networking and relationship-building (both internal and external) skills are required. Must have a strong understanding of DMPK, PBPK/PKPD modeling and human dose prediction of small molecules and biologics, and able to give clear recommendations for the design of preclinical and clinical studies. Hands-on experience in modeling software like Phoenix, WinNonlin, Matlab/SimBiology etc. is required. Must have strong communication skills and the ability to influence, negotiate and communicate with both internal and external stakeholders. Passion for data analysis, solving technical problems and applying new technologies to further scientific goals. Cultivates Creates a learning environment, is open to suggestions and experimentation for improvement.